St. Patty’s day is quickly approaching. Which means: Shamrock Shakes at McDonald’s (yum! ), a free crochet pattern for you (yes! ), as well as celebrating my older brother’s birthday (yay!). Brother Bill was born almost 26 years ago on this famously Irish holiday and for some reason, my parents felt an obligation to pay homage to the motherland, though we are very much German and Ukrainian. I get my pale skin honestly. And so was born William Brian… But I’ve always wondered – Is “Brian” Irish? Ha, apparently it made sense at the time. Enough of the family history – onto the pattern! Finished size – about 4 inches from stem to top. Adjust your hook size to make a smaller or larger clover. 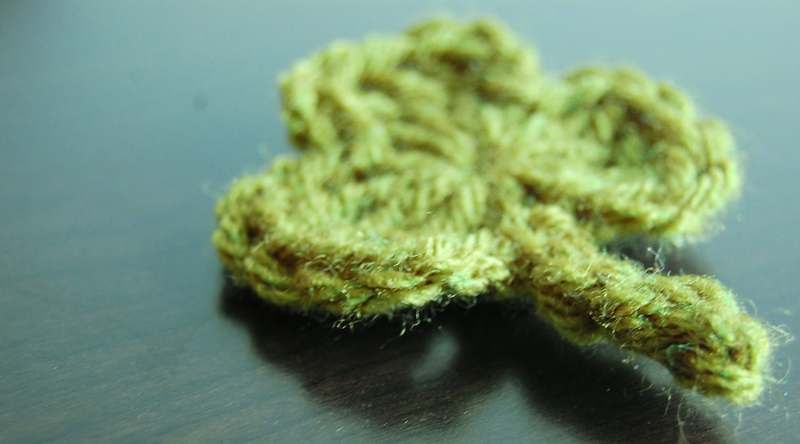 Make a beginning loop by using a slip stitch or the magic ring method. The shamrock’s petals will be worked into this center ring. Repeat instructions for Petal 1 twice more to make 3 petals, or 4 if you’re feeling lucky! Stem: After working petals, chain 4. Work 4 slip stitch in chains just made, working back towards the petals. Join with a slip stitch to last sc of final petal. Each St. Patrick’s Day when we were younger, my mom used to throw green-themed St. Patty’s Day parties for Brother Bill. Poor guy – always had mint chocolate chip ice cream, shiny green garland, and treatbags filled with shamrock-covered pencils and any other holiday items Oriental Trading happened to carry. 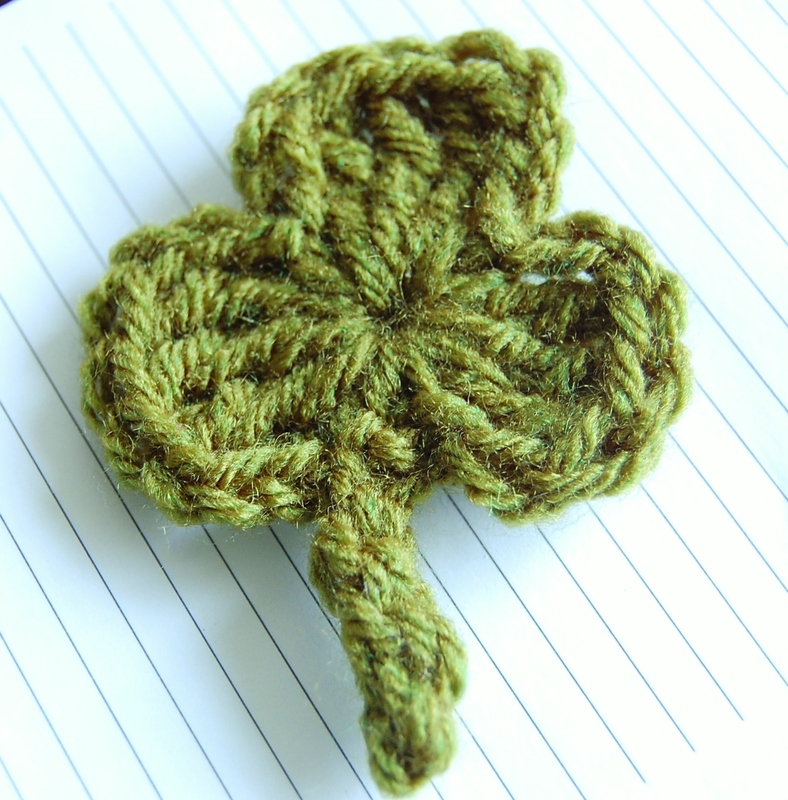 If only I had thought to make this pattern sooner, I’m sure my mom would have somehow worked crocheted shamrocks into the decor! Hope you enjoy the pattern. 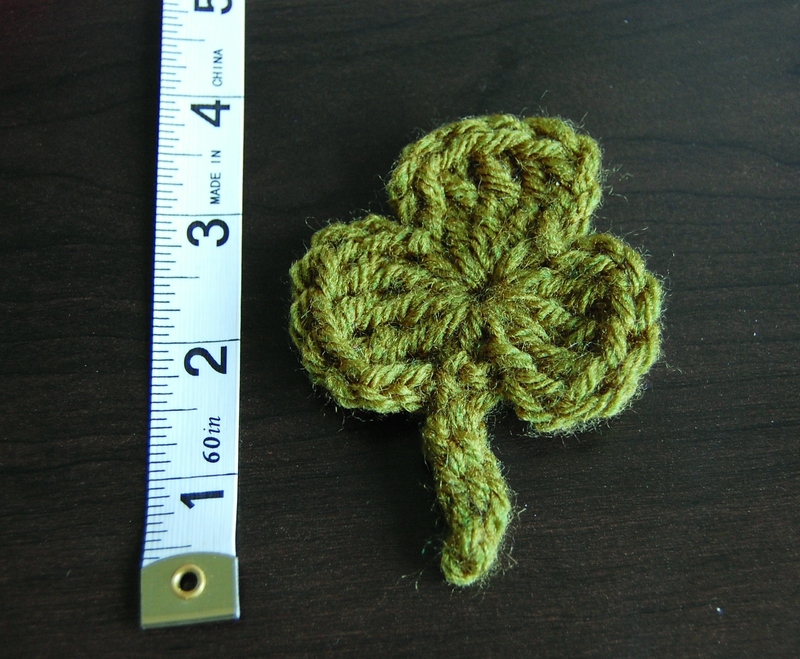 I could see these being used for garland, a pin, or be adorable sewn onto a headband for some Irish spirit. Best of luck and happiness to you! I used some green Vanna’s Choice yarn I had on hand and though a little darker than the typical “shammy green” color, I thought it worked. Good luck with your yarn selection! Thanks for the pattern, Jayna. 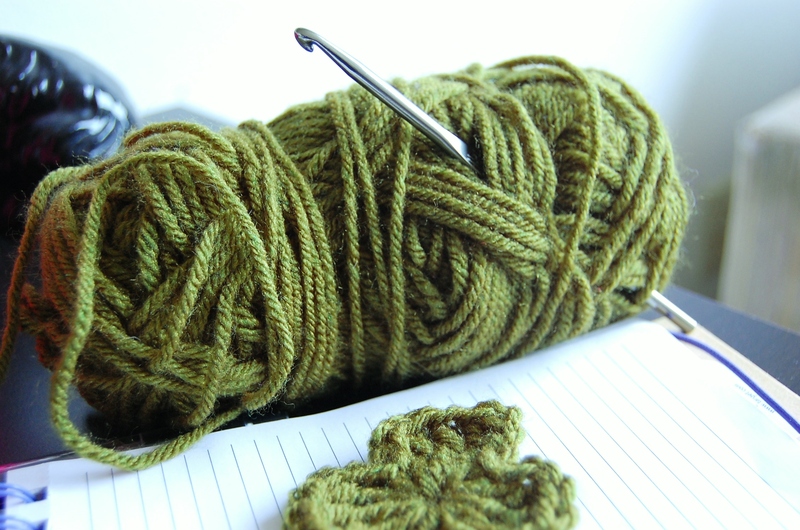 Can’t believe I do not have plain green yarn in my stash…. Thanks I already made one and it looks real cute. Thank you for the simple instructions for the perfect shamrock. I just made 5 using 6-strand varigated(my grandmother’s embroidery floss) floss amd pearl cotton using a 00 hook. They are the perfect size for my 4 year old granddaughter’s hair band and pins for my husband and myself. Thank you for sharing.